Read Huawei Mate RS Porsche Design mobile reviews, opinions, user question & answers. 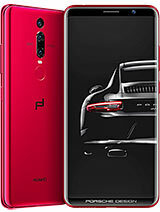 Get free Huawei Mate RS Porsche Design mobile via Lucky Draw by posting Huawei Mate RS Porsche Design mobile reviews and opinions. Its look,Colour,battery timing And Other Thing is Very Awesome. Can you find a good one for me? I have been using huawei brand since 4 year and i am loving it. I am using an old model so now i want to get new model.